Each year, the coveted Global Water Awards are presented at the Global Water Summit, a major business conference for the water industry worldwide. Established in 2006 by Global Water Intelligence, the awards recognize the most important achievements in the international water industry within several categories, and reward those initiatives in the water, wastewater and desalination sectors that are moving the industry forward through improved operating performance, innovative technology adoption and sustainable financial models. Nominations for the Global Water Awards are shortlisted by a panel of industry experts, and the winners voted for by Global Water Intelligence and Water Desalination Report subscribers, reflecting the views of the international water community. Voting starts March 1st and ends on March 31. Drylet’s team is asking for your vote! The link will be provided here on March 1st. 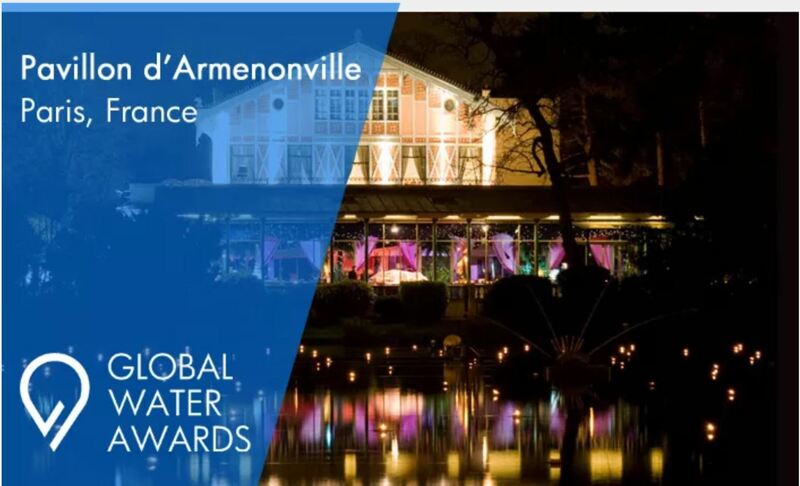 The 2018 Global Water Awards will be presented at the opulent Pavillon d’Armenonville in Paris, France on 16 April 2018, as part of the Global Water Summit. The awards ceremony will include a Gala Dinner for all attendees. We’re looking forward to seeing you there/then!